Ever thought about packing up your belongings and jumping in the car to pursue your dreams" If so, you'll feel truly inspired by Natasha Lawyer and Brett Bashaw! The pair met in a cafe in Seattle in 2013 and married six months later. Having lived in a Volkswagen van, an apartment with a pink carpet and a vintage airstream they decided to pursue their shared passion for pottery and dream of living in a small house in the woods. In 2014 Natasha and Brett packed up their belongings and moved to Vermont, USA where they bought eleven acres of land. They spent their first winter transforming a tiny home (measuring 166 sq. ft / 15.4 sq. m) and building a potting shed, bath house (112 sq. ft / 10.4 sq. m), pottery studio (392 sq. ft /36 sq. m) and chicken coup and christened their new home the 'Sugarhouse Homestead'. 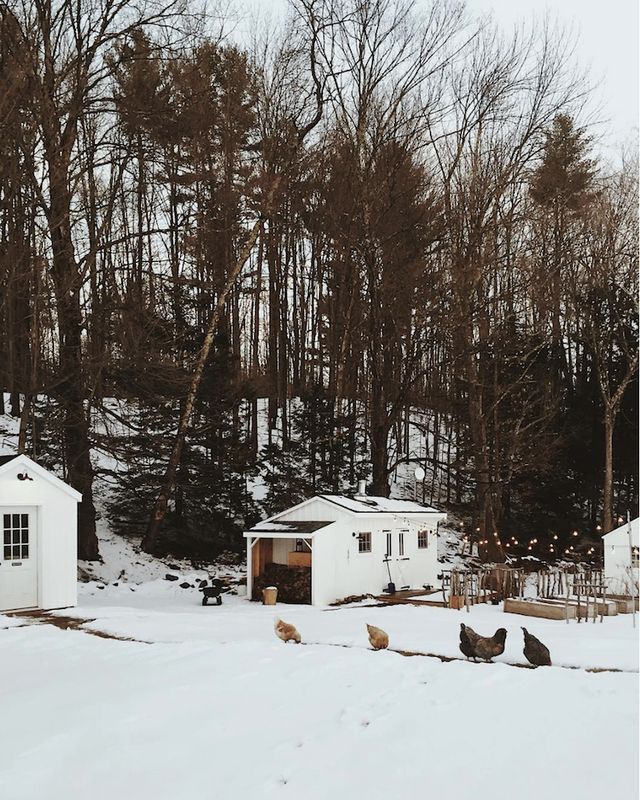 Today you can find the couple drinking lattes, making and selling awesome pottery through Sugarhouse ceramic Co., tending to their two little dogs and flock of chickens and planning their next big trip. I caught up with the couple to find out more about life in Vermont, and what it means to live in a tiny home.